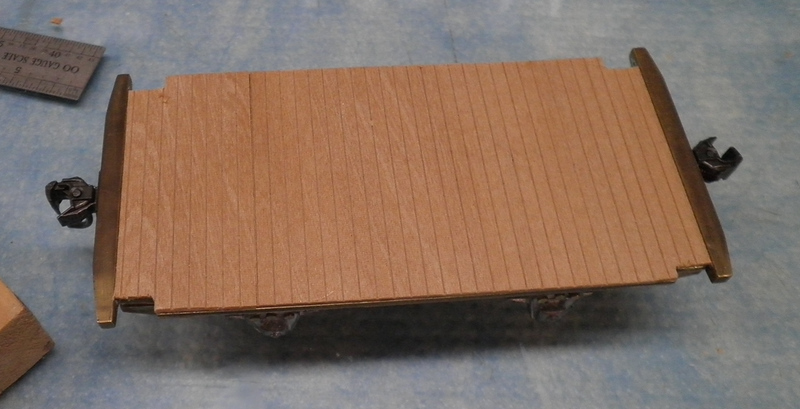 You either have a special skill in finding unfinished or damaged kits or O scale modelers are more likely to run out of steam because I sure don�t see many HO kits in this condition. Although I do have a couple. Well, it's not a kit per se but rather someone's accumulation of parts that never got assembled and now I'm adding to, subtracting from to make into some sort of workable bobber caboose. It does me little good for the parts to set for another eon in a box for the next O scaler who in all probability would dump on eBay or just toss into the dustbin. 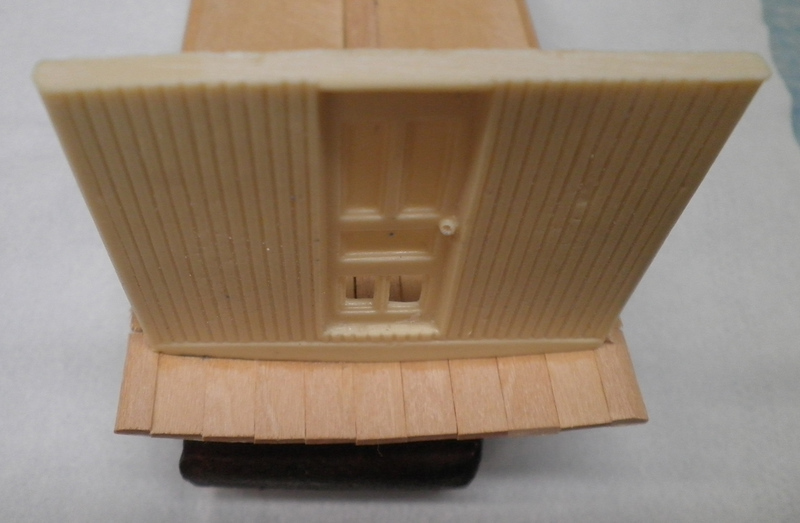 Took the resin cast ends and hacked off the bottom bits left & right and then reshaped the curvature along the top to match that of the roof profile. End mill in the variable speed drill press working on resin is so nice!!! 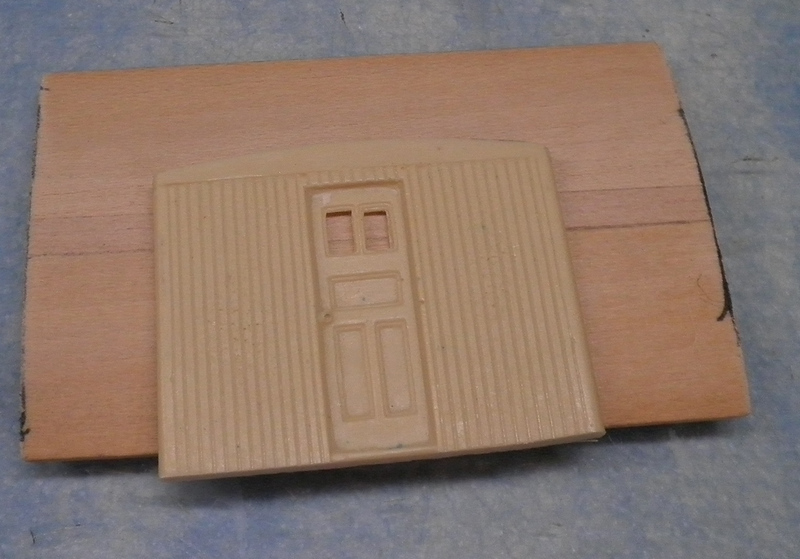 and then to the underside as well as a center sill. 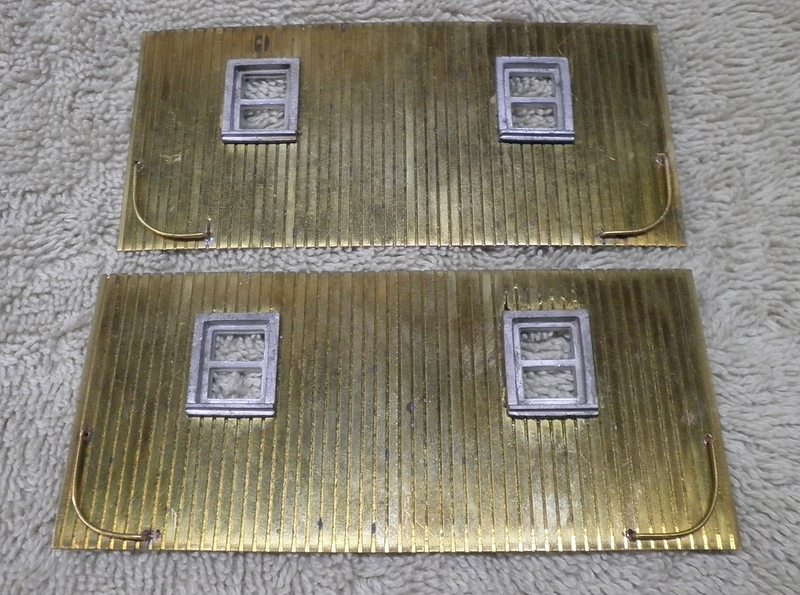 Worked out the sides.....decided to go with the white metal castings. Had to open up the holes a bit with the Dremel and files, but they fit now! 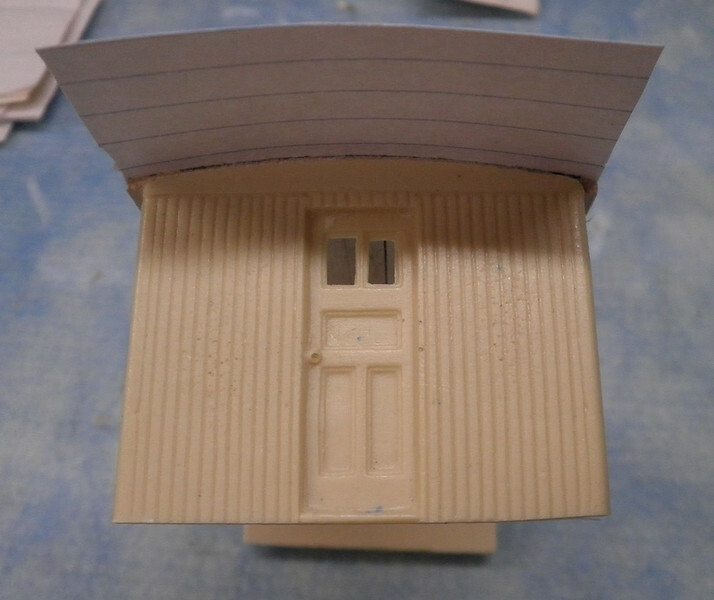 Putting the reshaped/milled ends to the roof section... End castings are not flush with the top of the rood casting. 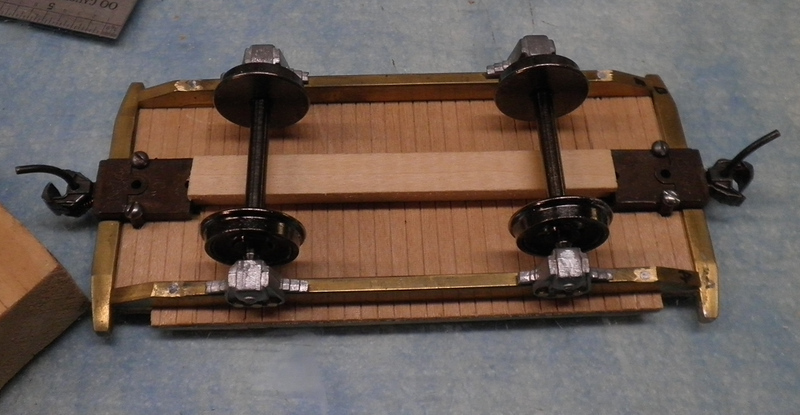 Card stock applied to make platform overhand leaving a slot between the card stock and the casting for inserting the wood for the overhang. It is a good Sunday afternoon when the sun is shining after a solid week of rain, and Martin is posting his fine work from the car shops! 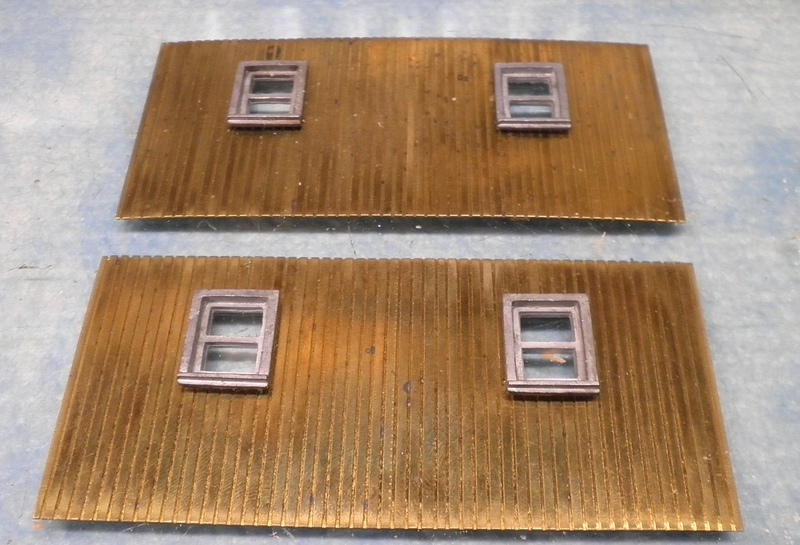 Got the windows settled into the brass sides and the side grabs soldered into place. 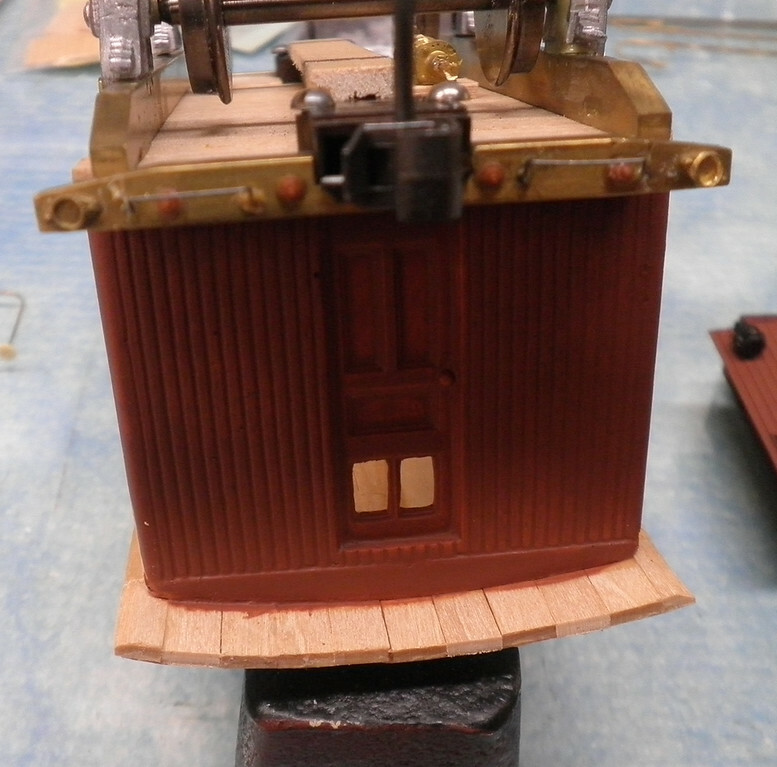 Next up is to get a coat of paint or 3 on these and the cupola so I can install the window glazing before buttoning the entire car. 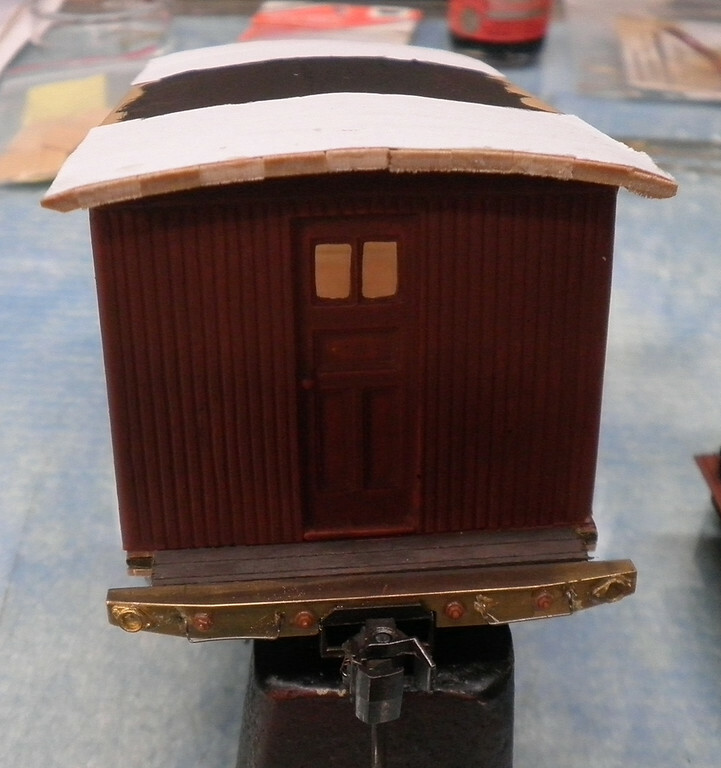 Painted and glazed, and marker lights added. Thanks! I'll have to remember to put the jewels on those lights after I get closer to the end. Martin, you always seem to be able to make a silk purse out of whatever has been thrown your way! Let me assure you that there have been more than a few that I either pawned off on others, or just salvaged some bits off before their disposal. I try also try pretty hard not to buy anything w/o having a pretty good idea that I can make something acceptable of it. 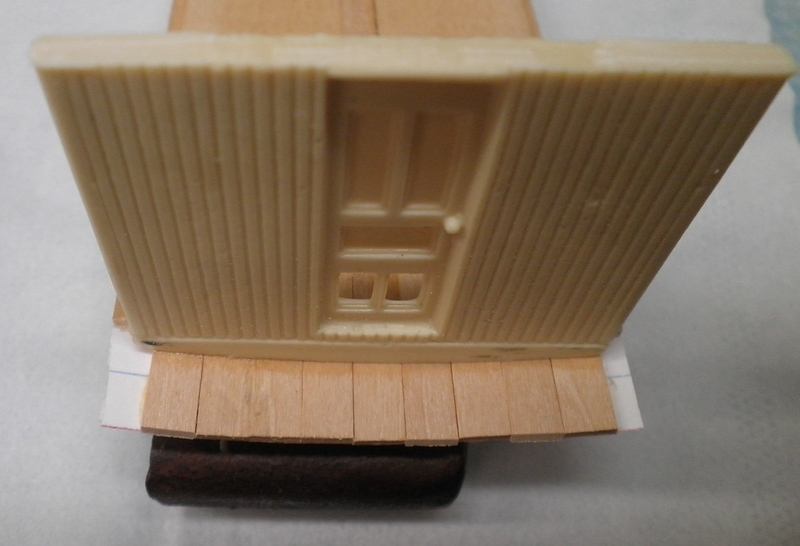 Put some paint on the ends before adding the railings and having to work around them. 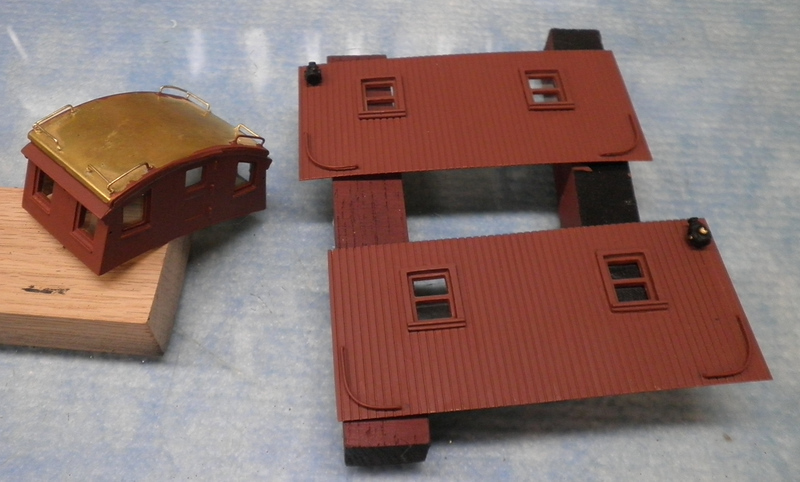 Black paint on the roof is where I think that the cupola will end up.